Healthy Genes or Healthy Living? When we talk about metabolism, it’s often a complaint: “I wish my metabolism let me binge on potato chips and pizza like my friend and not gain weight.” The reality is that we all have some kind of metabolism, and almost everyone’s falls somewhere in the “normal” range. Metabolism is defined as the series of chemical reactions that burn calories. Those chemical reactions can be further refined into three categories: your resting metabolic rate (RMR), the thermic effect of physical activity (TEPA), and the thermic effect of feeding (TEF). Here’s some good news. Most of the calorie burning you do takes no extra effort at all. About 60%-75% of the calories you torch through comes from simply keeping your body operating. Like a machine that never turns off, your body is always working, and it always needs fuel, whether you’re running a marathon or sleeping. The organs doing most of that extra work are the heart, brain, lungs, liver, and kidneys, which together make up about 80% of the total calories used every day. Some people do have a higher RMR than others. Children have especially high calorie needs when at rest compared to adults. On average a child under age 6 at rest burns twice as many calories per pound as an adult. Between ages 6 and 18, your RMR drops by about 25%, and every decade after that your RMR drops another 2% to 3%. That’s mostly because we tend to become less active as we grow older, meaning we tend to lose calorie-burning muscle mass. The word “thermic” refers to heat. And in this case, we’re talking about the heat generated while moving. That can mean working out, but it can also mean walking to your car or doing the dishes. TEPA accounts for about 15% to 30% of your total calories spent in a day, depending on how active you are. Even shivering and fidgeting count toward this total. About 10% of the calories you use up every day come down to TEF. TEF represents all the energy you spend digesting, storing, transporting, and absorbing the food you eat. There’s some truth to the idea that some people have faster metabolisms than others. Some of us win the gene lottery and have less of a problem keeping off unwanted pounds. The sad reality is that if you’ve ever been overweight, you will have to maintain a stricter diet to avoid gaining again. The reasons why are unclear, but hormone changes during weight loss may be to blame. Appetite suppressants may be helpful in these cases. The word “metabolism” gets thrown around a lot in dieting circles. Sometimes that advice is useful, but at other times it turns out to be misleading. Should you try a new food? A new workout? More protein? We’re here to help you separate metabolic fact from fantasy. Read on for medical facts verified by health experts that can help you understand the role metabolism plays in weight loss, as well as tips for maintaining a healthy metabolic balance. One common recommendation for increasing your metabolism is to lift weights. While this advice is frequently offered, the impact of your musculature on your resting metabolic rate (RMR) is often wildly exaggerated. There are a couple of ways to look at this. As an example, let’s look at someone who has gained five new pounds of lean muscle, which requires on average about three to four months of strength training to acquire. That adds up to a net gain to your RMR of about 30 calories every day (not subtracting any fat you may have lost in the process). That’s about one third of a medium apple worth of calories. So you might immediately think, “big deal!” But here’s the thing—those 30 calories a day add up to about 11,000 additional calories burned over the course of a year. That’s equivalent to a little less than a week’s worth of calories for an adult male. That would translate to a loss of about three pounds of body fat over the course of a year if your diet remained exactly the same. 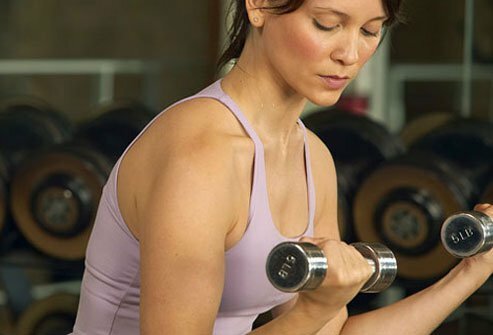 Whether or not you decide the extra calorie-burning benefits of bigger biceps are worth it, there are many other reasons to consider strength training. Stronger musculature helps protect you from injury. It makes your bones denser. And it looks good! Weightlifting influences the overall shape of your physique. So whether or not you decide the metabolic benefits are worth it, strength training is often a smart addition to a workout. Gaining muscle has only a small positive impact on your resting metabolism. But what about your active metabolism? Now here’s an opportunity to make some significant improvements, right? Well, yes and no. Aerobic exercise does burn many more calories actively than muscles do while resting. But making a significant dent in your overall calorie consumption is going to take a significant effort as well. Remember that phrase “Thermic Effect of Physical Activity?” TEPA only accounts for between 15% and 30% of your calorie needs every day—and that includes all the activity that you do throughout the day, and not just your workout. So exercising more does help. But it’s useful to know how much it helps in order to set reasonable expectations. The USDA provides an online Body Weight Planner that can help you see exactly how much fitness can improve your weight loss efforts. As an example, let’s say you are a 210-lb man, 30 years old, 5’10”, who would like to lose 20 pounds in three months. Let’s assume you don’t really do any exercise at the beginning of this challenge. To reach that goal with no fitness at all, you will need to go from eating about 3,000 calories per day to 1,800 calories. If you’d like to indulge a bit and want to offset your calories with a few workouts, let’s run the numbers. Say you add 30 minutes of light running to your routine four times a week. That extra effort means you can eat an additional 200 calories per day to reach your weight goal, equal to about four Oreo cookies. 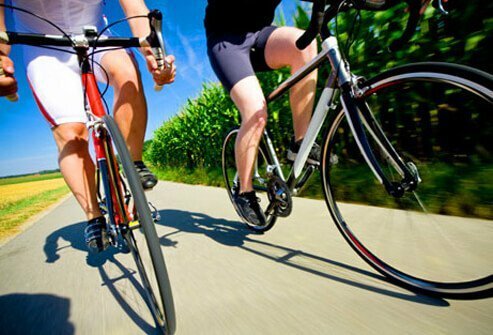 If you decide to get really serious about keeping fit by adding another three hours of medium-exertion cycling to your week, you can then eat an extra 500 calories each day compared to the sedentary person. That’s a little less than a Big Mac—hold the fries. So is the extra Big Mac each day worth adding five hours of exercise to your week? That’s up to you. Just like with weightlifting, there are many great reasons to practice aerobics. For one thing, moderate exercise helps you keep the fat off that you do lose. How much you will need to work out to maintain your weight varies from person to person. An experienced personal trainer may be able to help you set an ideal workout goal. Beyond weight loss and maintenance, aerobics strengthens your bones and muscles, improves your mood and mental health, reduces your risk of various diseases including some forms of cancer, and generally helps you lead a healthier, longer life. Drinking water to use up extra calories has been controversial. You may wonder, “If water is zero-calorie, how could drinking it burn any calories at all?” A study published in 2003 seemed to have the answer. Testing only 14 people, German researchers claimed that by drinking about 17 ounces of water, their subjects’ metabolisms increased by 30%. The researchers said this was the result of the body warming itself after being cooled by the cold water. 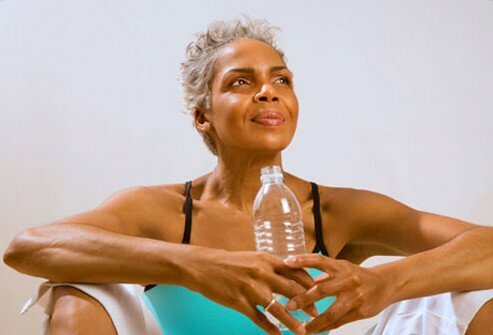 If the results held up, simply drinking two liters of cold water per day (a little over half a gallon) would help you burn an extra 95 calories. There was only one small problem—future studies couldn’t reproduce the results. One study showed only a 4.5% metabolic increase—a tiny, insignificant rise. 5. Do Energy Drinks Help? The stimulants found in energy drinks can help you shed fat—for a little while. 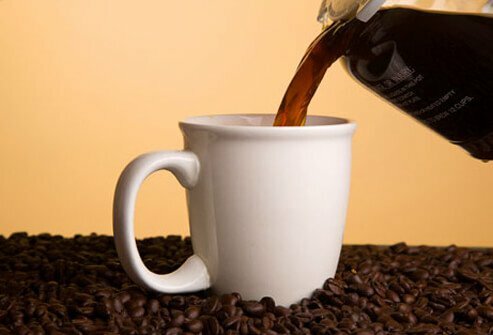 Caffeine can increase your energy briefly, but after you’ve consumed enough lattes your body adjusts to the stimulation and soon the small metabolic benefit evaporates. 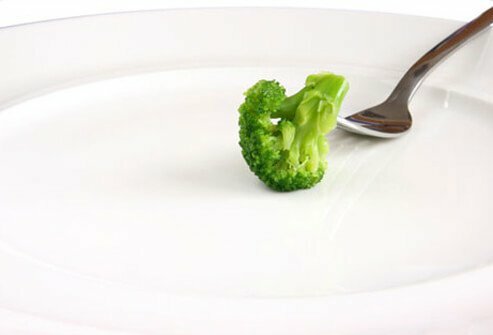 You may have heard the theory that eating many small meals throughout the day can help keep your metabolism motivated. Unfortunately, this is not a true shortcut to weight loss. There’s no scientific evidence to support the idea that you can lose more excess fat by eating smaller, more frequent meals. It doesn’t seem to matter when you eat your food—the key seems to be getting just the right amount of nutrition. If it’s easier for you to eat smaller meals more often, go for it! But many people find it difficult to stop once they’ve started, meaning more frequent food breaks add up to more calories consumed. 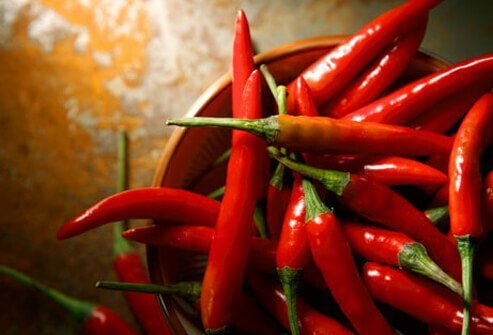 Can Chilies Burn Off Fat? This is another metabolic myth with a sliver of truth to it. Yes, spicy foods do help you burn calories a little bit faster, but the improvement is slight and fairly insignificant for weight loss. There are better ways to reshape your nutrition than blisteringly hot spices. 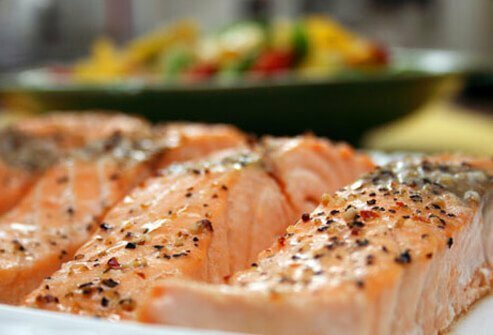 Does Protein Make a Difference? This one is true-ish. Remember that your body spends some of its energy just burning the calories it consumes, so you actually burn about 10% of the calories you eat just by eating them, on average. A protein calorie requires a little more work to burn than the average calorie. It’s about double, in fact, but it varies from person to person. A lean person may get more calorie-burning benefit from protein than an obese person. However, be careful not to forsake carbohydrates as you eat those proteins. Carbs help spare your muscles from natural degradation if you are weightlifting, and for that reason low-carb diets are not recommended for anyone interested in bulking up. What’s that feeling? That buzzing feels like my cells have come alive, and they’re melting off unwanted body fat! Or maybe it’s just the jitters. Many studies have found only a small, insignificant weight loss benefit from caffeine, whether it comes from coffee, green tea, or other sources. For instance, one large meta study looked at 15 other studies and a total of 1,945 participants. 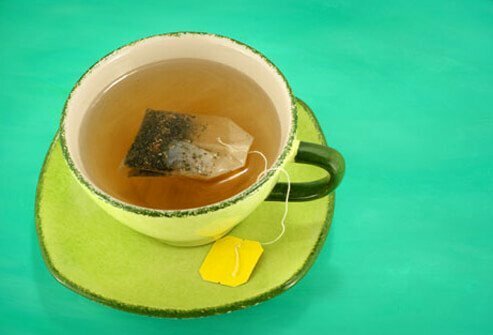 The meta study’s authors concluded that green tea used to stimulate weight loss seemed to have a “small, statistically non-significant” impact. So the bad news? Drinking a lot more water, consuming more caffeine, eating smaller meals and building muscle are all largely insignificant when it comes to shedding pounds. But that doesn’t mean you should just give up on raising your metabolism. There is one part of the metabolic equation that can be used to your weight-losing advantage. Remember when we talked about the Thermal Effect of Physical Activity (TEPA)? TEPA may account for 15% of the calories you use up—but it could be as much as 30%. That means increasing activity helps you expend more calories. And that’s not just counting exercise. 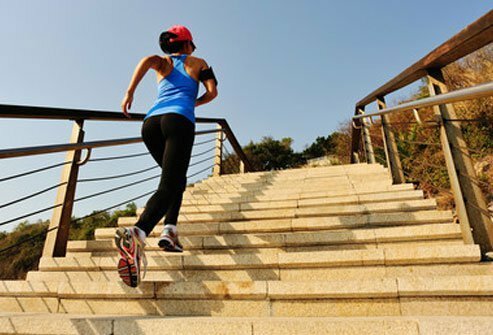 So if you tap your feet at work, walk the stairs instead of taking the elevator, or nod your head to the music as you drive, you’re still burning more calories throughout the day than you would be otherwise. Just a bit of fidgeting won’t matter much, but finding ways to stay a little more active throughout the day can make a big difference over time. Sometimes you really do have a slow metabolism. There are a few potential reasons for this, one which you can control, and others you can’t. This one is within your control. You shouldn’t starve yourself to lose weight. Not only is it painful and saps you of your energy, but eating way too few calories can actually cause your body’s chemistry to slow, thus making it more difficult to shed pounds in the future. Men should eat no fewer than 1,800 calories per day. Women should eat no fewer than 1,200 calories per day. This is a rare condition that causes too much of the hormone cortisol to flood the body. Symptoms include redness in the face, fatigue, excessive hair growth in women, high blood pressure, and weight gain. Hypothyroidism is a common health condition. Statistics vary, but anywhere from 1% to 5% of the population may be affected. Hypothyroidism results from not enough thyroid being produced by the thyroid gland, which is found in the front of your neck. It can cause fatigue, slowed speech, sensitivity to cold, numbness, and weight gain. This condition encompasses several rare disorders that affect one or more of the seven hormones produced by the pituitary gland. Symptoms vary significantly, but may include weight gain, weight loss, or difficulty losing weight. PCOS is also common, affecting about 1 in every 10 women of childbearing age. Its cause is unknown, but may be related to high levels of insulin or androgens. PCOS symptoms include excessive hair, missed periods, acne, and weight gain. So it turns out most of the metabolic miracles touted in the past burned more hot air than calories. But that doesn’t mean sustained weight management is impossible—just that it requires a different approach. The problem with your weight-gain woes has nothing to do with how many lattes you slam in a day—and has a lot more to do with how active you are each day, and how many calories you eat and drink. Most people have no idea how many calories they actually consume, whether it’s from the foods they eat or the liquids they drink. 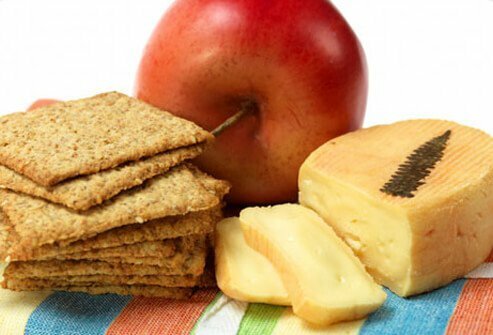 Snacking has a way of becoming habitual, and that means you may not realize how much of it you’re doing. To become more aware of your daily caloric intake, commit to writing down everything you consume for one week. Keep careful notes—did you include cheese on that burger? Did you have an extra scoop of ice cream? Was it the 24-ounce soda or the 32-ounce soda? Also track when you consume your calories and where—is it in front of the TV? With friends or alone? In the car? This exercise can help you become more aware of how many calories you take in every day. You can lose some pounds by diet alone, but eventually you’ll probably want to get more active to make your weight change permanent. To keep the weight off, find ways to get more active. That could mean a regular exercise routine, or it could also mean taking the bike to the store a few times a week or walking to work. Whatever method works for you, figure it out and put it into action. Not only will you lose weight, you will also become more energetic and protect yourself from many dangerous health conditions—and you’ll be lengthening your life and improving the quality of your health to boot. Acheson, K. The American Journal of Clinical Nutrition, 1980. Arria, A. The Journal of the American Medical Association, 2011. Glade, M. Nutrition, October 2010. Halton, T. Journal of the American College of Nutrition, 2004. McKinley Health Center: "Breaking Down Your Metabolism." Medscape: "Increasing Basal Metabolic Rate Through Exercise." National Council on Strength & Fitness: "A Pound of Muscle Burns 30-50 Kcal/Day, Really…"
The Hormone Foundation: "The Hormone Foundation’s Patient Guide on Metabolic Risk: Primary Prevention of Cardiovascular Disease and Type 2 Diabetes." Pediatrics, "Clinical Report—Sports Drinks and Energy Drinks for Children and Adolescents: Are They Appropriate?" 2011. Rutherford, J. International Journal of Sport Nutrition and Exercise Metabolism, August 2010. 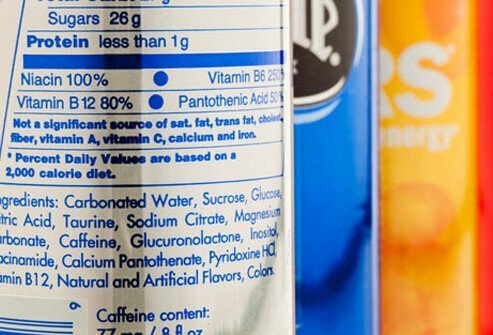 University of North Texas: "Energy Drinks: Helpful or Harmful?" Venables, M. The American Journal of Clinical Nutrition, 2008. Westerterp-Plantenga, M. Physiology & Behavior, 2006.